Having a good time on the Central Coast doesn’t necessarily mean that you have to spend a bunch of money. Instead of revolving around over-the-top, expensive events, museums, and restaurants, the Central Coast is a bit more low-key, while still offering amazing establishments and interesting historical spots. Additionally, with the diverse and natural beauty surrounding us, there are plenty of entertainment options in the great outdoors that really don’t cost a thing. Read on for more entertainment on a budget, and we’re sure you’ll find something that sounds like a blast. Wanting to see one of the latest releases? Tickets to movies have become more expensive in the last few years, with theaters expanding themselves, adding more comfortable, reclining chairs, serving wine and beer, making the movie experience more comfortable and glamorous for visitors. 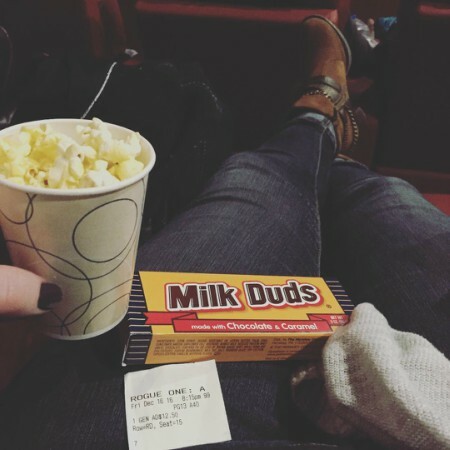 In SLO, have this experience without the expensive ticket on Discount Tuesday, at The Movie Experience in SLO. All tickets are $7.50 all day. On Fridays, make it a date night by seeing a film at the Downtown Centre Cinema, and your dinner at Pizza Solo around the corner will be 10% off. The museums on the Central Coast offer world class entertainment options while all being relatively inexpensive, and frequently free. In San Luis Obispo, visit the Dallidet Adobe and Gardens, a historical spot significant to the history of SLO that has beautiful gardens available for rent for special events. Admission is free. The History Center in downtown San Luis Obispo, which you can visit for free, will teach you all about the history of the town if you’re interested, from the native American Indians who called SLO home for generations, to Spanish explorers, and finally to settlement from diverse American immigrants. 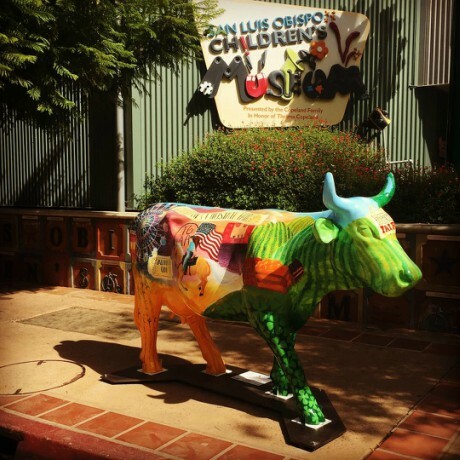 More local museums with free or inexpensive admission include Mission San Luis Obispo (a must-see for the town), the SLO Museum of Art, and the Children’s Museum – all of which are conveniently located in downtown San Luis Obispo. It doesn’t cost a thing to watch them, but looking at wildlife can be one of the most entertaining things to do here on the Central Coast! Now that it’s winter, it’s actually the perfect time to see some groups of animals that migrate here seasonally for the warmth. 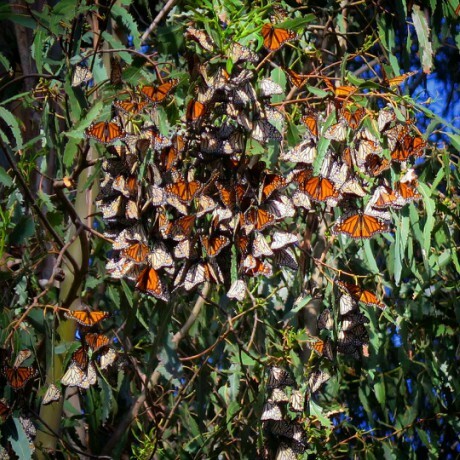 Visit Pismo Beach to see thousands of monarchs fluttering above you in Eucalyptus trees; admission is free to see these creatures at the Monarch Butterfly Grove. Western Monarch Day is on February 4th at 10 am; plan your trip around this weekend to attend the celebration with talks, booths, and art for everyone amongst the clusters of Monarchs. Head the other way, back north, to see a much larger species – the elephant seal – resting by the dozens at Piedras Blancas Rookery in San Simeon. 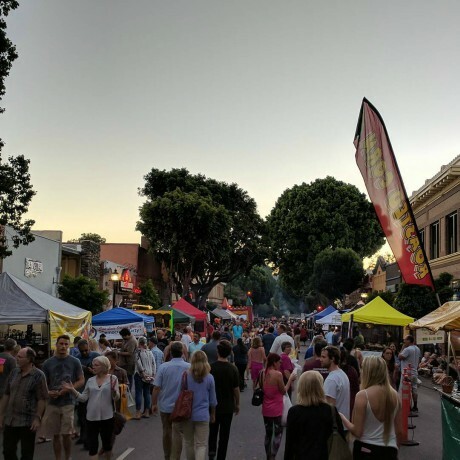 Farmer’s Market is one of the classic Central Coast entertainment options – suitable for kids, adults and bringing the whole community together. There is frequently live music and free entertainment, and the prices for delicious fruits and vegetables definitely won’t break the bank. There are also over ten Farmer’s Market options on the Central Coast, so take your pick! Click here to learn more. And following Farmer’s Market on the first Thursday of the month in San Luis Obispo is the raucous Bike Night. Hundreds of people ride their bikes through Downtown, chanting and shouting. It’s definitely a sight to see, and anyone with a bike is invited! Click here to learn more. Live music is also popular on the Central Coast. Check this link for up-to-date information on free and inexpensive concerts. Additionally, if you’re going out to dinner or to a bar during your stay on the Central Coast, many establishments often offer free live music, so why not visit one of those? In Avila Beach, Mr. Ricks has live music on Friday and Saturday, so that’s a fun place to stop after walking or relaxing on the shore. Stay with us while you experience your Central Coast adventure! We have locations in Avila Beach, Pismo Beach, and Paso Robles. Learn more about our resort hotels here.